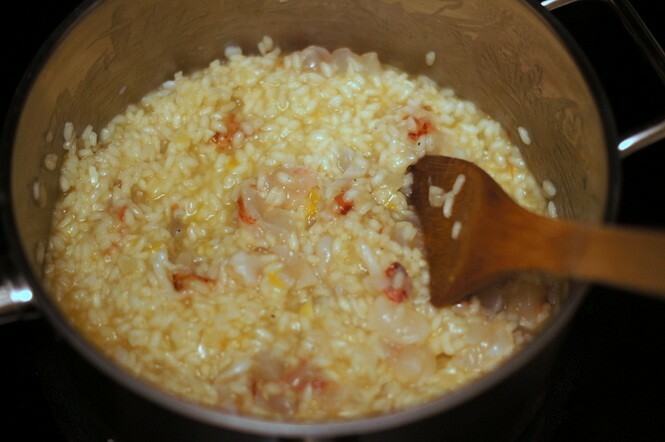 For Valentine's Day dinner I made lobster risotto. 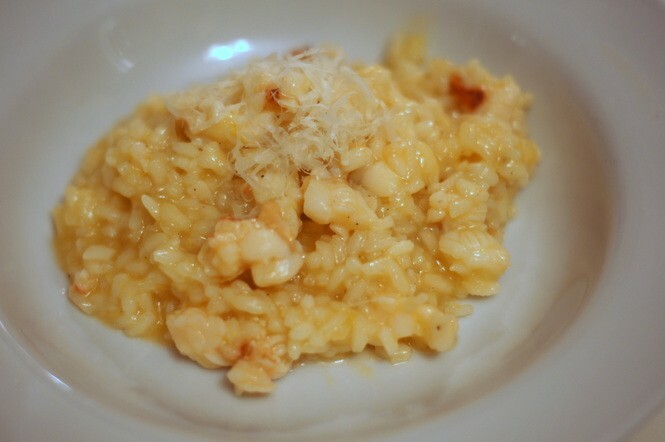 It's a dish that sounds luxurious but is really pretty simple to make, although time-consuming. My local supermarket frequently has lobster tails on sale and I picked up four of them for $4.99 each. 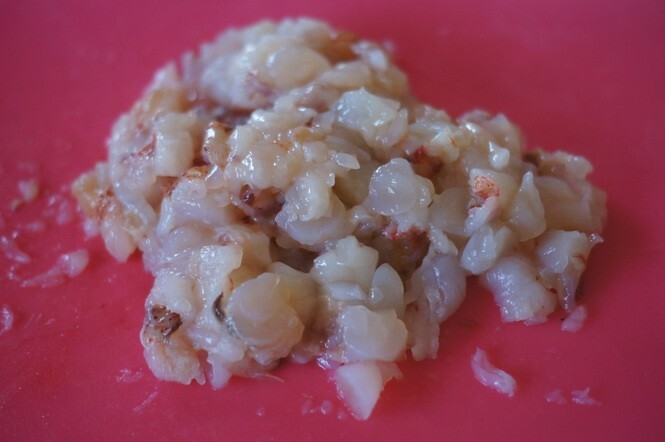 You could also substitute shrimp, crawfish or scallops for the lobster meat in the recipe. Like I said, this dish isn't difficult to make. It does take time, however. 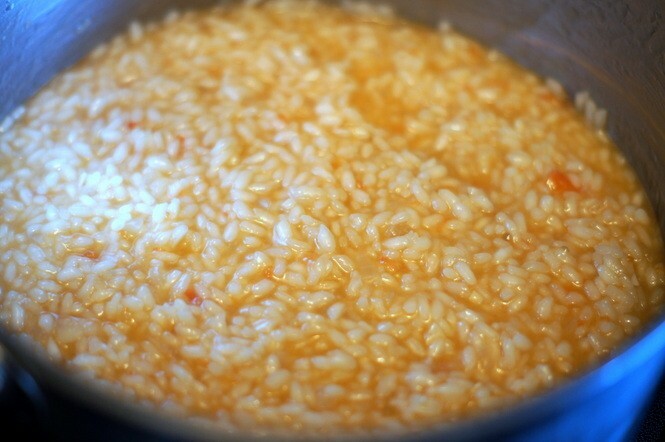 Plan on spending about 40-45 minutes in the kitchen stirring the risotto; it can't be rushed! 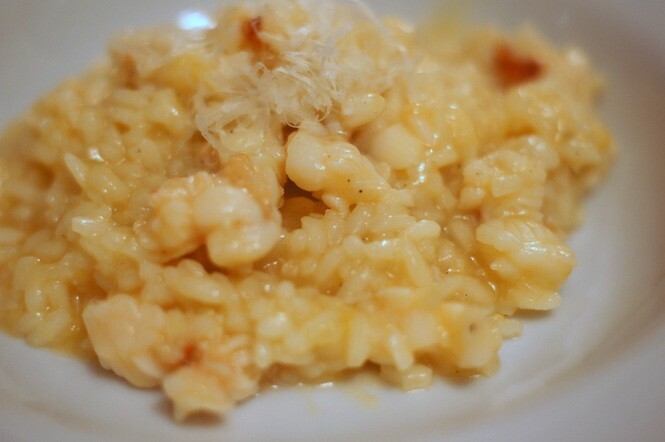 Cooking risotto takes patience, but the outcome is well worth the time spent. 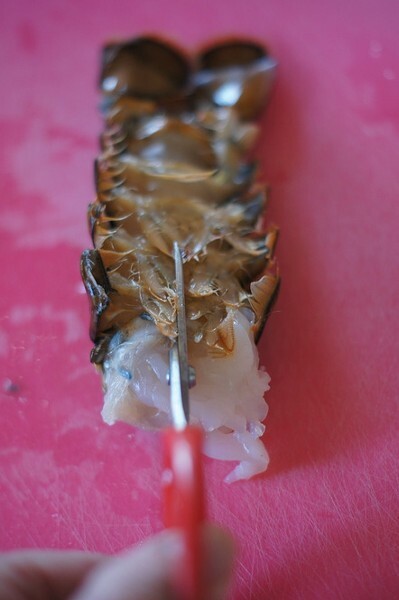 Remove the lobster meat from the tail shell by using kitchen shears to cut lengthwise through the bottom of the shell. 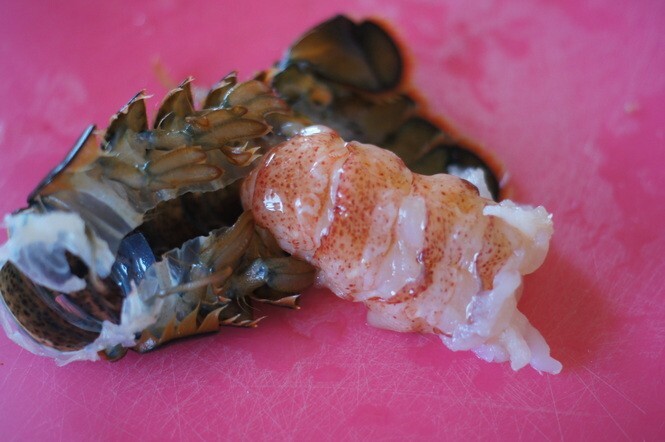 Then pull the tail meat away from the shell. Chop the tails into bite size pieces and put aside for later use. 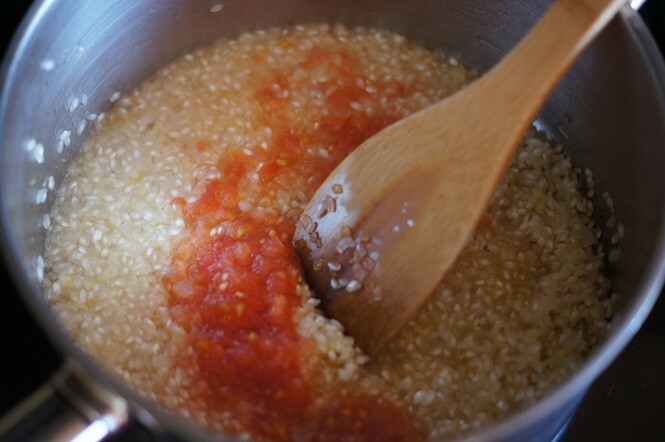 In a heavy-bottomed sauce pan or deep-sided skillet, heat the olive oil over medium heat. 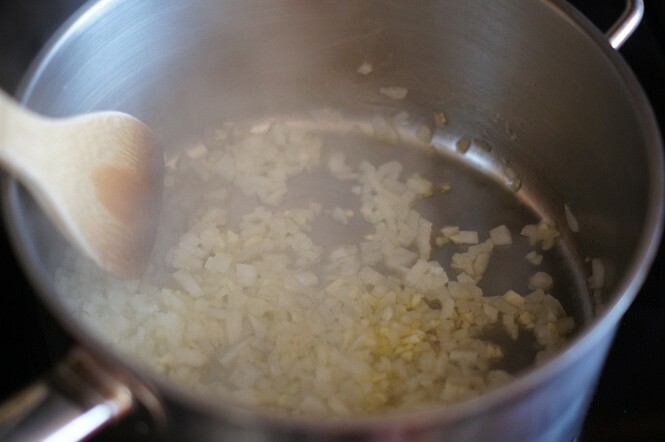 Add the onion and garlic to the pan and cook, stirring occasionally, until the onions soften and begin to turn golden, about 8 minutes. 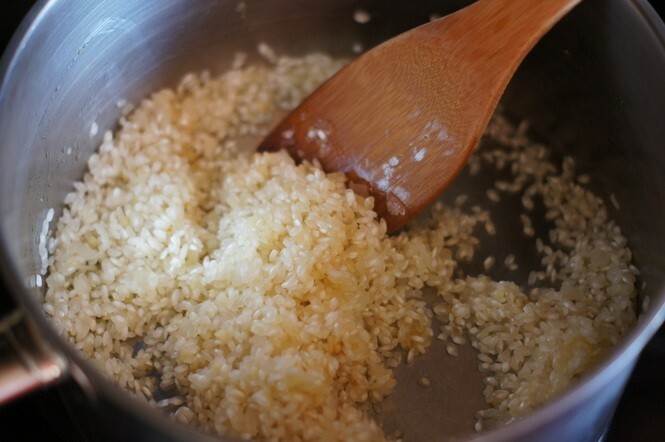 Add the rice to the pan with the onion and garlic and stir to coat the rice with oil. Pour the wine into the pan with the tomato. 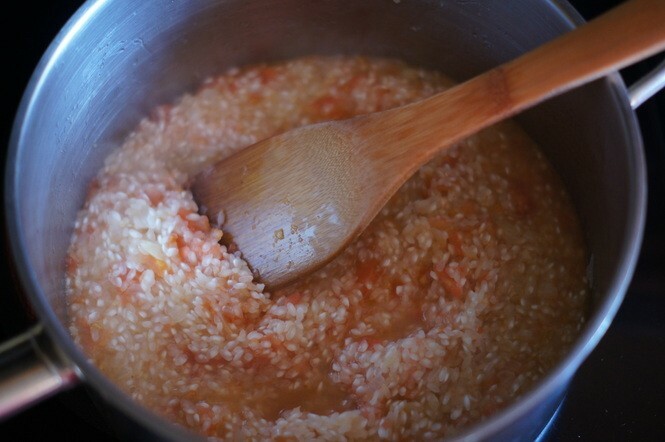 Stir until the wine and the juice from the tomato has evaporated and the bottom of the pan is nearly dry. 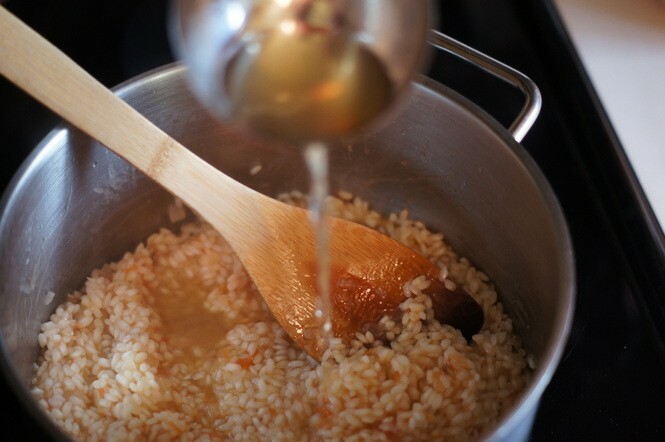 Add 1 cup of the hot chicken or fish stock and stir, stir, stir until the rice has soaked up the stock and the bottom of the pan is almost dry. 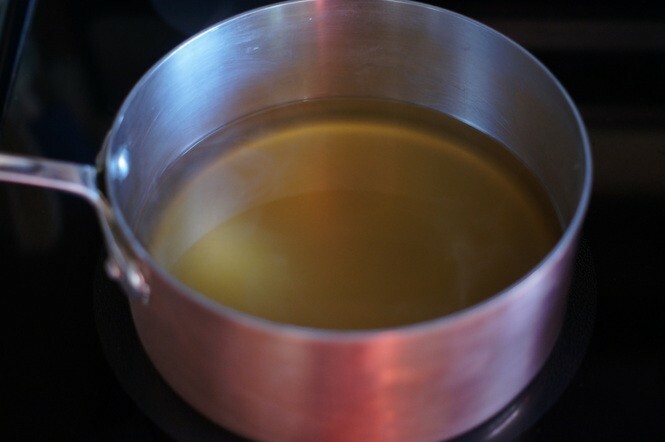 Continue the process of adding a cup of stock at a time and stirring until it is absorbed. 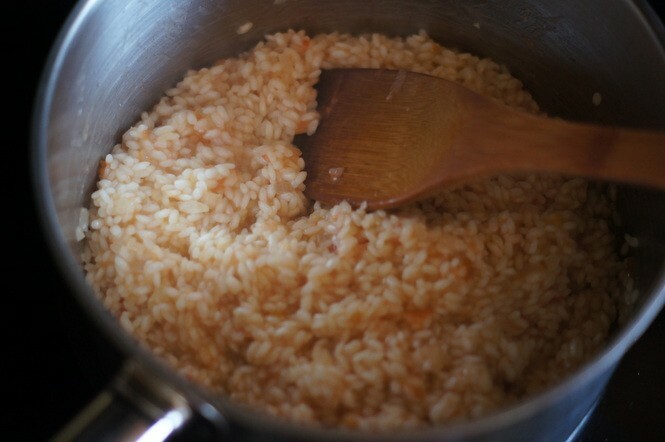 Resist the urge to rush the rice! 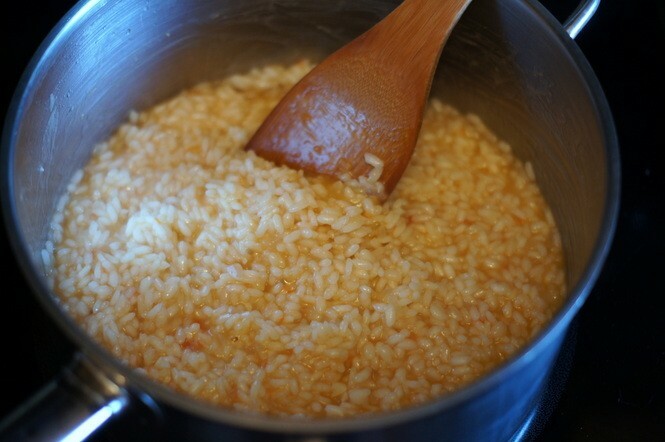 It takes time and loving care to cook risotto right. 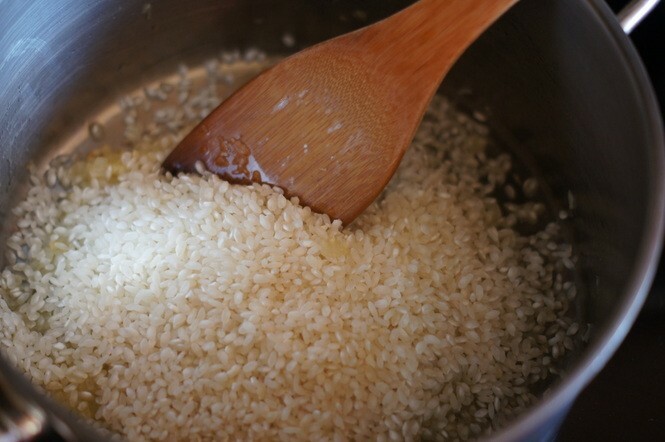 Keep adding stock to the rice and stirring until the rice has puffed up and is al dente — just slightly crunchy. 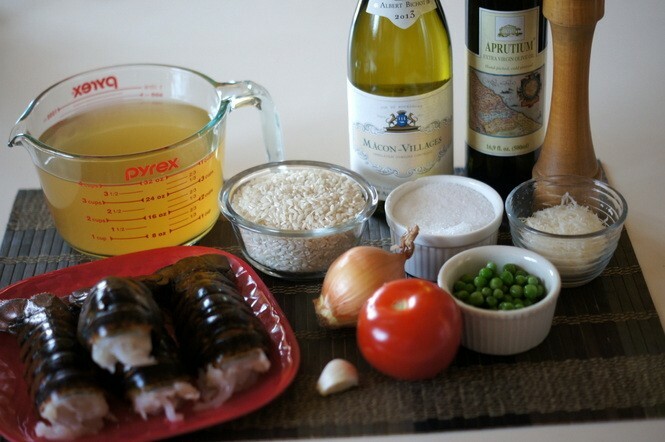 At this point, add the lobster and the (optional) peas and stir continuously until the lobster is just cooked through and barely pink. 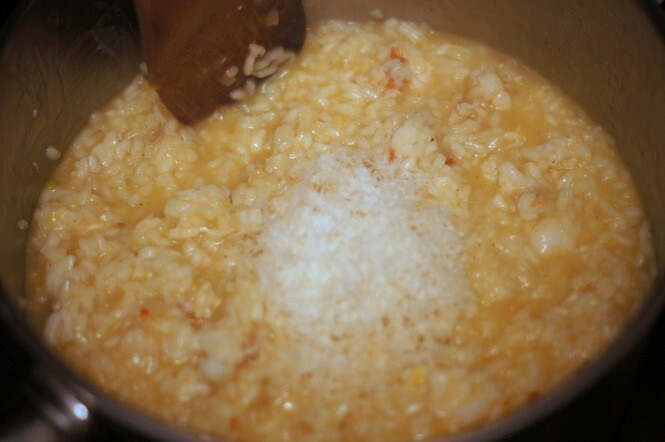 Add the (optional) Parmigiano-Reggiano and stir to completely incorporate the cheese into the risotto. Taste and add pepper and salt (if needed). You probably won't need to add salt, as the cheese provides saltiness. 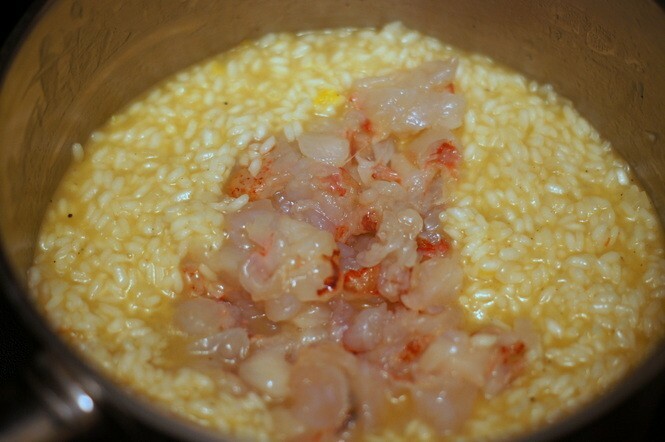 The finished risotto should be creamy and the rice just slightly firm, not crunchy and not mushy. Serve immediately in warm serving bowls.